Crossover Health | Show Your Mo! 06 Nov Show Your Mo! 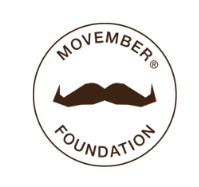 A “mo” is a moustache that serves as the global “ribbon” for affecting higher male survival rates for prostate cancer and testicular cancer, as well as suicide prevention. 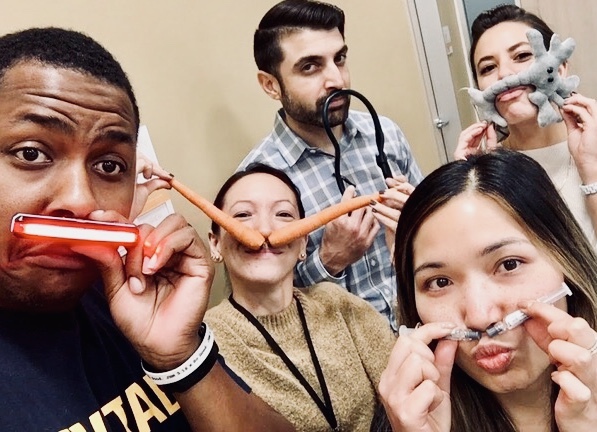 Anyone can show their “mo” (including our very own Crossover Health employees pictured here), and that’s where YOU come in. In November 2017, tweet a photo of you and your “mo” on Twitter with the hashtags #crossoverMO to help us raise awareness for men’s health. 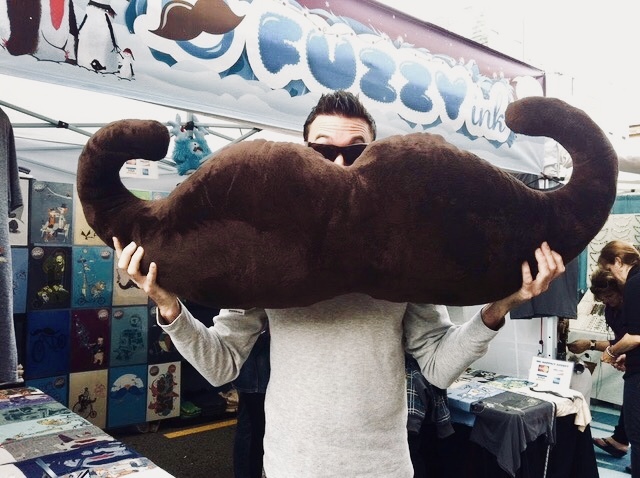 In return, we’ll make a $10 donation to the Movember Foundation on your behalf. Tell your friends — more “mos” equals more money for the cause*! Early detection is key and can be the difference between life and death. When detected early, prostate cancer survival rates are better than 98%. Find it late, and those survival rates drop below 26%. If you’re 50, you should be talking to your doctor about PSA testing. If you’re African American, or have a brother or father with prostate cancer in their history, you are 2.5 times more likely to have it in your lifetime and need to start that conversation at 45. It’s a blood test used to determine the measurement of Prostate Specific Antigen (PSA) concentration in the blood. Crossover Health’s Chief Medical Officer follows the US Preventive Task Force guidelines and recommends individualized decision making about screening for prostate cancer after discussion with a clinician. Each man has an opportunity to understand the potential benefits and harms of screening and to incorporate his values and preferences into his decision. Treatment options are many and varied. Testing still can’t answer lots of key questions about disease aggression, prognosis and progression. If you have been diagnosed with prostate cancer, it’s important to keep in mind that many prostate cancers are slow growing and may not need surgery or other radical treatment. DepressionThese side effects have different durations for different people. Testicular cancer is the most common cancer in young men age 15-34 in the U.S. Men with undescended testes at birth, or who have a family history, like a father or brother who has had testicular cancer, are at an increased risk. And if you’ve had testicular cancer before, there’s also a heightened risk it could return. Just as women are strongly encouraged to perform regular breast self-examinations, men should do self-examinations of their testes. These should be performed at least once a month in a warm shower, feeling one testicle at a time to know what normal feels like. 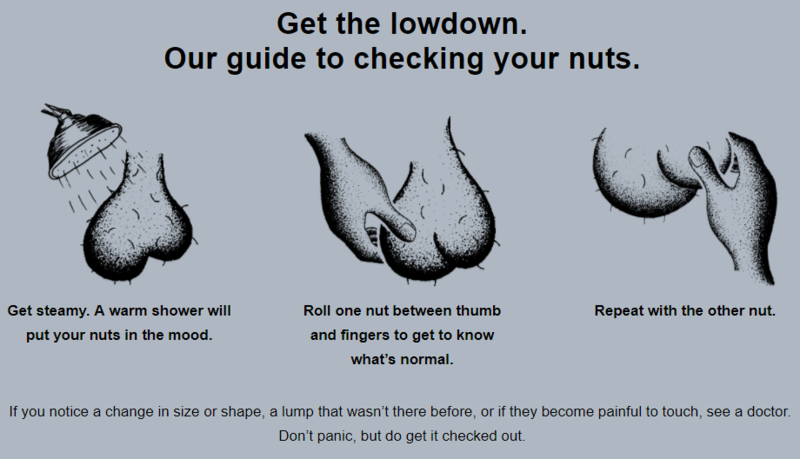 If a lump is felt in the testicle or it becomes painful to touch, don’t panic, but do schedule a visit to see your doctor quickly. A staggering fact is that three out of four suicides are men. The truth is that men don’t typically take time to talk about their own health or even ask for support when dealing with the stresses of life and depression. It is not a weakness. Many men go through it. If you or a man in your life is experiencing difficulty, please get a conversation started. It’s different from normal sadness in that it consumes your day-to-day life and interferes with your ability to work, study, eat, sleep, and have fun. The feelings you have when depressed – such as helplessness, hopelessness, and worthlessness – can be intense and unrelenting. The symptoms of depression in men described in this section can be part of life’s normal ebbs and flows and don’t always signal depression. But the more symptoms you have, the stronger they are, and the longer they’ve lasted—the more likely it is that you’re dealing with depression. There are some common symptoms of depression anyone can experience, which can include being withdrawn, losing interest in friends and activities you used to enjoy, and difficulty concentrating on things. Decreased interest or pleasure, you lose interest in doing things you used to enjoy, such as going to movies, reading, shopping, cooking, playing with your children. Significant weight change or change in appetite, your weight and appetite are a lot less or a lot more than usual. Change in sleep, you find yourself sleeping too little or too much. Change in activity, you feel as if everything (speech, thinking, moving) is slowed. The opposite can also occur, whereby you feel very agitated and almost jumpy (such as finding it tough to sit still, pacing, hand-wringing). Fatigue or loss of energy, you feel low on energy, even when you haven’t exerted yourself. This fatigue isn’t alleviated by rest or sleep. Guilt/worthlessness, you have negative and unrealistic feelings of guilt or about being worthless. Concentration, you have trouble thinking or concentrating, or making decisions. Suicidality, you have thoughts of death or suicide, or have a suicide plan. Although mental illnesses are highly treatable, many men don’t recognize, acknowledge, or seek help for their symptoms. You do not have to go through this alone. Crossover provides mental health services and aims at reducing the stigma surrounding mental health treatment and increasing access to treatment. After the initial assessment period, you’ll start working with your therapist towards your treatment goals. You and your therapist will look at your thoughts, feelings and behaviors to help you implement more effective strategies and reduce the severity of the symptoms you are experiencing. *Up to $2,500 in total will be donated for the combined physical exam appointments and Twitter photo submissions from November 6 through November 30, 2017.